Prey Veng province – Cambodian People’s Party officials here yesterday expressed their satisfaction over the results of Sunday’s election and hailed it as free and fair. According to preliminary National Election Committee results, the ruling CPP secured 76.78 percent of valid votes nationwide, roughly 4.8 million, meaning that it will likely secure all 125 seats in the National Assembly. Sbong Sarath, chief of CPP office in Prey Veng, said the CPP was able to boost support in all of the province’s 13 districts. He said two other parties were in the past more influential in the province, including the Funcinpec party and League for Democracy Party. But according to preliminary NEC results, the CPP garnered 369,037 votes, while Funcinpec and LDP gained 26,365 and 30,501 votes respectively. There were 12 other parties contesting the 11 seats in the province. He added that the CPP deployed 3,600 observers to 1,827 polling stations in the province. 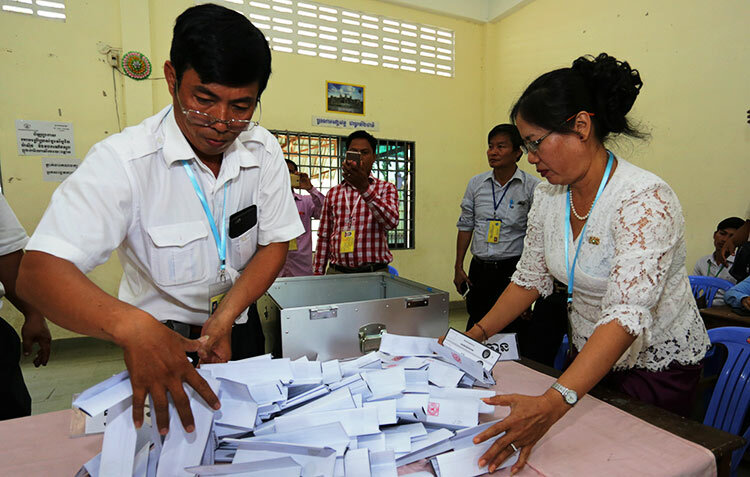 According to the NEC, the voter turnout rate in Prey Veng was 81.91 percent, up from 71 percent in the 2013 election. The number of invalid ballots in the province also rose slightly to 52,387. In 2013, there were 108,085 invalid ballots nationwide, compared to 573,883 across the Kingdom this year. When asked about the amount of invalid ballots, Mr Sarath simply said that it was a voter’s right. Y Oun, a voter who claimed that she made her ballot ticket invalid, said yesterday that she was disappointed by the absence of the dissolved CNRP. 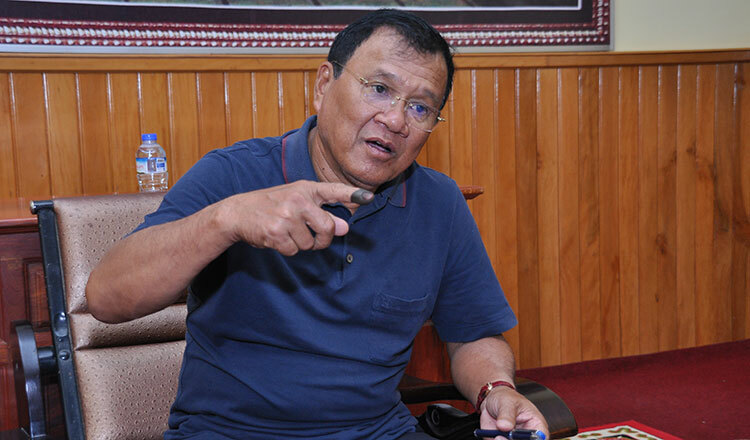 Vong Sophorn, head of the Provincial Election Commission, said yesterday that the election went smoothly in the province. Cambodians had lived up to their civic duty, he said. Mr Sophorn said that Prey Veng’s PEC has not received complaints related to the election. Phay Ratha, a lobster vendor in Ba Phnom district, said she felt relaxed following the end of the national election season. More than 6.9 million people cast their ballots on Sunday, representing 82.89 percent of the 8.3 million registered to vote. In 2013, voter turnout was about 69 percent, with 6.6 million valid ballots cast.